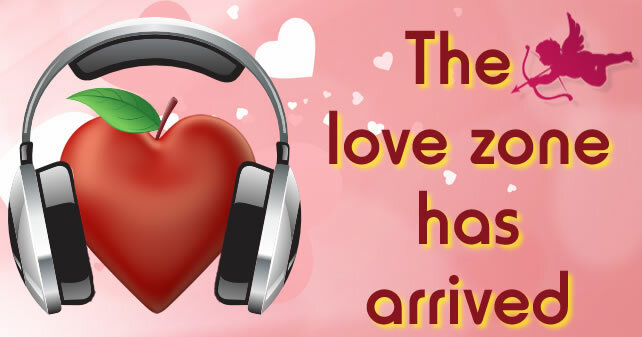 To celebrate Valentine’s Day, on 14th February, we got loved up at Apple and launched a new nightly show called The Love Zone. The show can be heard each evening between 10pm and Midnight from Sunday to Thursdays inclusive. The show plays the best ever love songs to help you wind down each evening before bed.